Business Analysis is the set of tasks, knowledge, and techniques required to identify business needs and determine solutions to enterprise business problems. Although, the general definition is similar, the practices and procedures may vary in various industries. In Information technology industry, solutions often include a systems development component, but may also consist of process improvement or organizational change. Business analysis may also be performed to understand the current state of an organization or to serve as a basis for the identification of business needs. In most cases, however, business analysis is performed to define and validate solutions that meets business needs, goals, or objectives. or its integration with technology. However, organizational titles vary such as analyst, business analyst, business systems analyst or maybe systems analyst. To understand the structure and the dynamics of the organization in which a system is to be deployed. To understand current problems in the target organization and identify improvement potentials. To ensure that the customer, end user, and developers have a common understanding of the target organization. In the initial phase of a project, when the requirements are being interpreted by the solution and design teams, the role of a Business analyst is to review the solutions documents, work closely with the solutions designers (IT team) and Project managers to ensure that requirements are clear. In a typical large-size IT organization, especially in a development environment, you can find On-site as well as offshore delivery teams having the above-mentioned roles. You can find a “Business Analyst” who acts as a key person who has to link both the teams. Sometimes, he would interact with Business users and at times technical users and finally to all the stakeholders in the projects to get the approval and final nod before proceeding with the documentation. Hence, the role of BA is very crucial in the effective and successful jumpstart for any project. 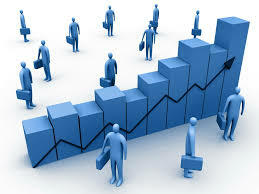 The role of a Business analyst starts from defining and scoping the business areas of the organization, then eliciting the requirements, analyzing and documenting the requirements, communicating these requirements to the appropriate stakeholders, identifying the right solution and then validating the solution to find if the requirements meet the expected standards. How is it different from other Professions? Business analysis is distinct from financial analysis, project management, quality assurance, organizational development, testing, training and documentation development. However, depending on the organization, a Business Analyst may perform some or all these related functions.